Every time I head to my local liquor store, I like to peruse the Finger Lakes wine section and see if anything catches my eye. That’s the key: eye-catching. With hundreds of bottles to pick from, labels can give a winery an advantage when it comes to getting someone’s attention. Here are five eye-catching wine labels from the Finger Lakes that have caught my attention based on design alone. 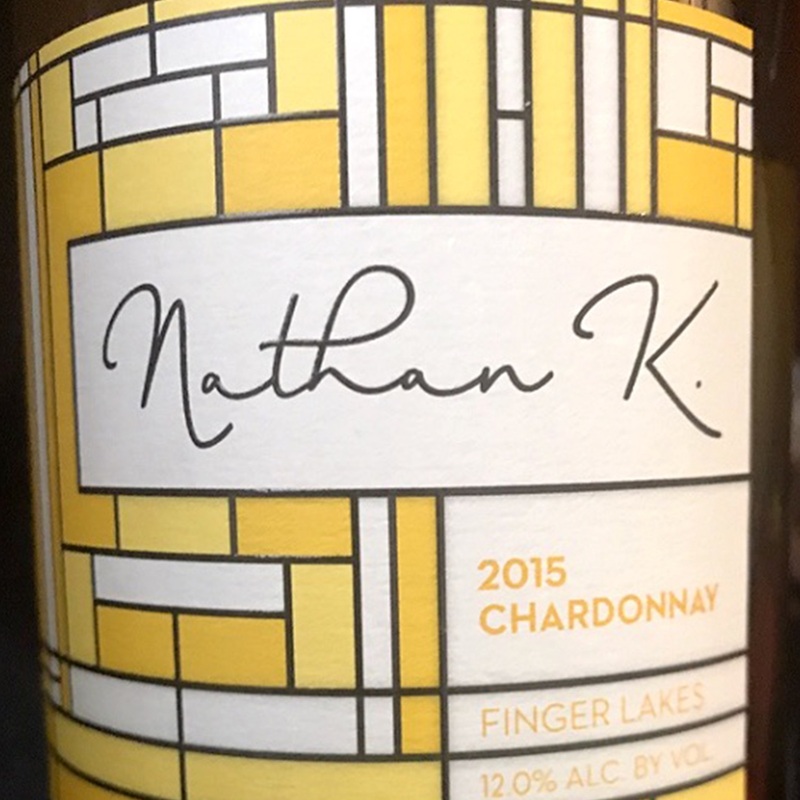 With its geometric and colorful design, Nathan Kendall’s wine labels stand out in this region. The label has both a familiarity and freshness to it. The geometric print is a modern take based on the Arts & Crafts movement that was popular at the turn of the 20th century within the Finger Lakes. The clean, organic look at the label speaks well to the wine Kendall is producing. The designs vary slightly for each, and a bonus on the Pinot Noir is that the wine neck is sealed with colorful wax matching the labels. 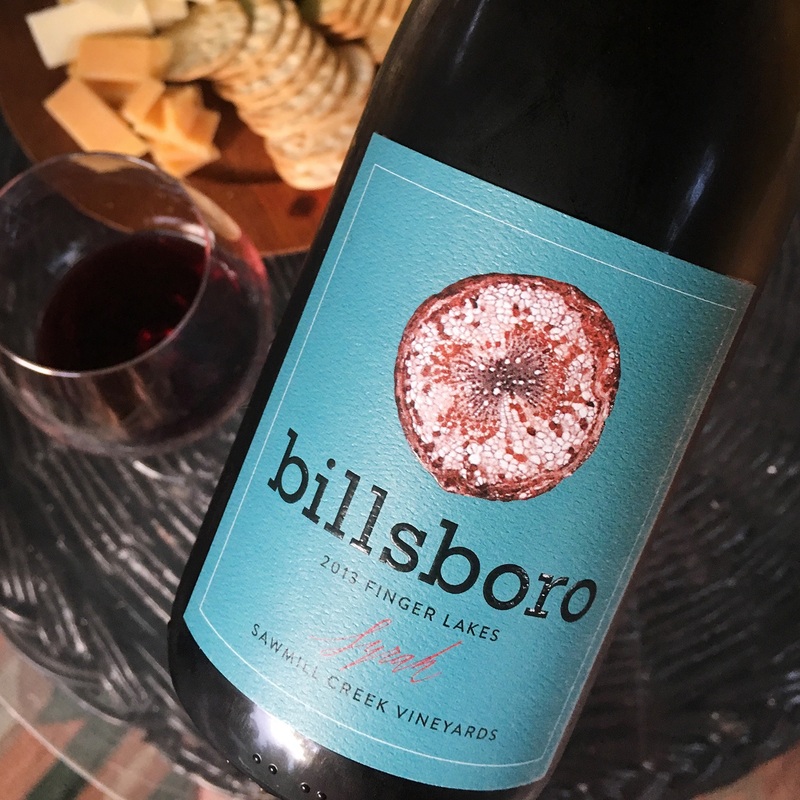 The background color alone makes Billsboro Winery’s bottles stand out on a shelf. The bright blue of the red wines and yellow of the white wines are noticeable among the white and cream labels of the region. What I find so eye-catching is the circular design feature at the top of the label, but it is not just art. These circles are a cross-section of a grapevine leaf from the Finger Lakes as it would be seen under a microscope. Not only does this create a bold look, it is a meaningful, emphasizing the science of the wine making process. What I love about the wine labels from Anthony Road is that they remind me of the rings a wine glass can leave on a tablecloth. The design is bold, but in a natural and subtle way reminiscent of watercolors on linen. The multicolored circles vary by style: red wines have dark purple red circles that fade into cream, the white wines’ are greens, and the Rosé and Vignoles have a colorful blend of pinks to greens. It’s a beautiful way to differentiate the wine. 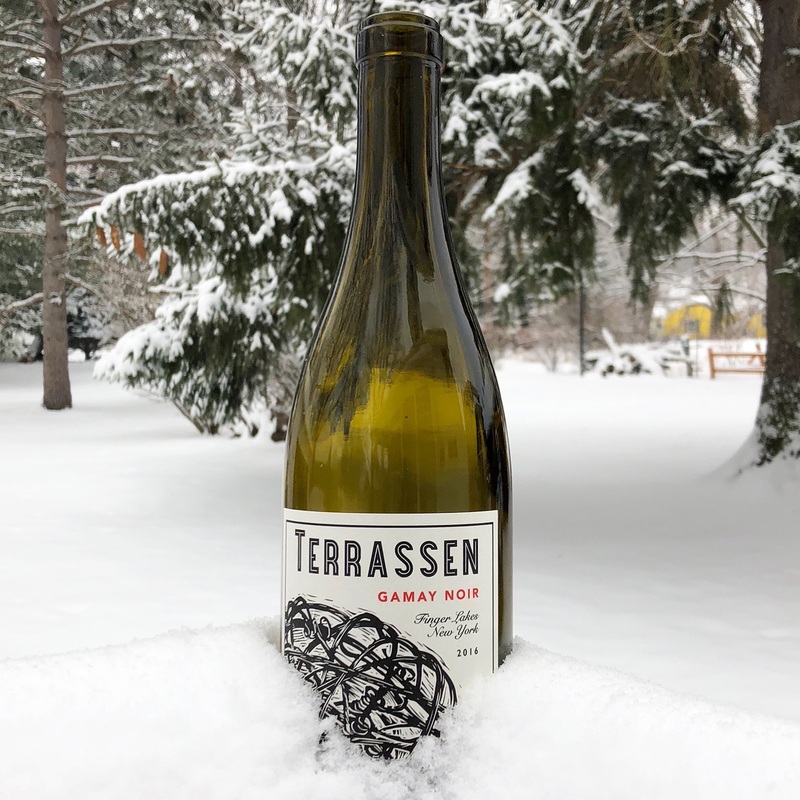 Terrassen is brand new to the scene, and it’s easily become one of the more Instagrammed Finger Lakes wines out there. I would argue that part of the infamy its already garnered is because of its striking label. The bold black and white lettering off set by a tangled ball are easy to recognize and stand out from the crowd. The primary design is reminiscent of grape vines woven into a ball, and, instead of looking messy, add a natural element to the otherwise minimalist label. It is striking and unique. Heron Hill Winery has a number of wine labels it uses for different series, but their Ingle Vineyard set in particular has increasingly caught my eye. 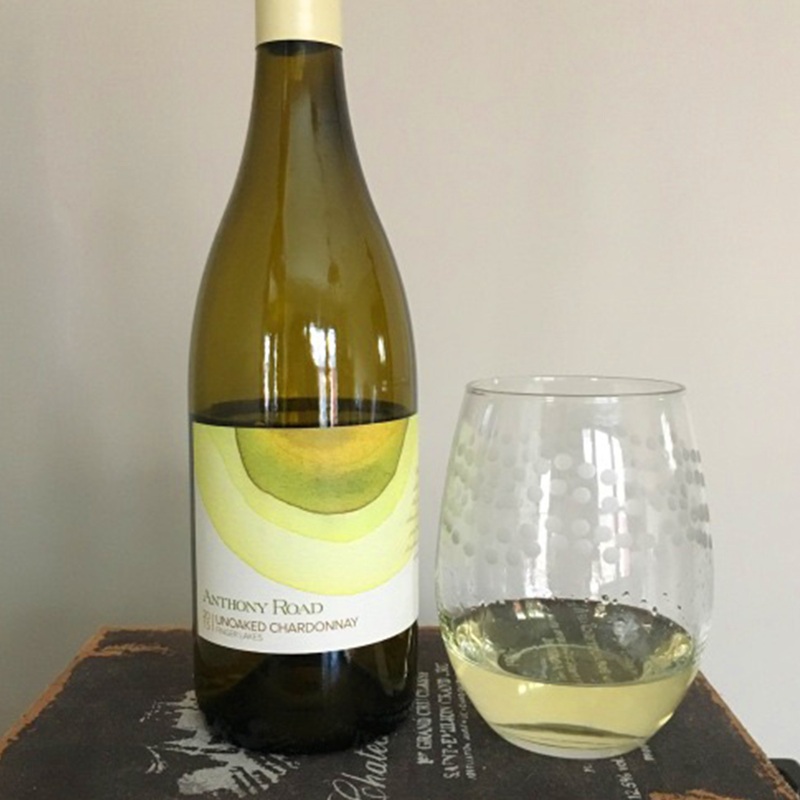 Although the Ingle Vineyard is located on Canandaigua Lake, the wine label features a stylized version of the tower from the winery located on Keuka Lake. In bright colors like purple and orange for Pinot Noir or turquoise and yellow for Chardonnay, these wine labels are fun and noticeable. The bright colors are offset by gold embossed lettering on a black band that emphasizes the winery name. 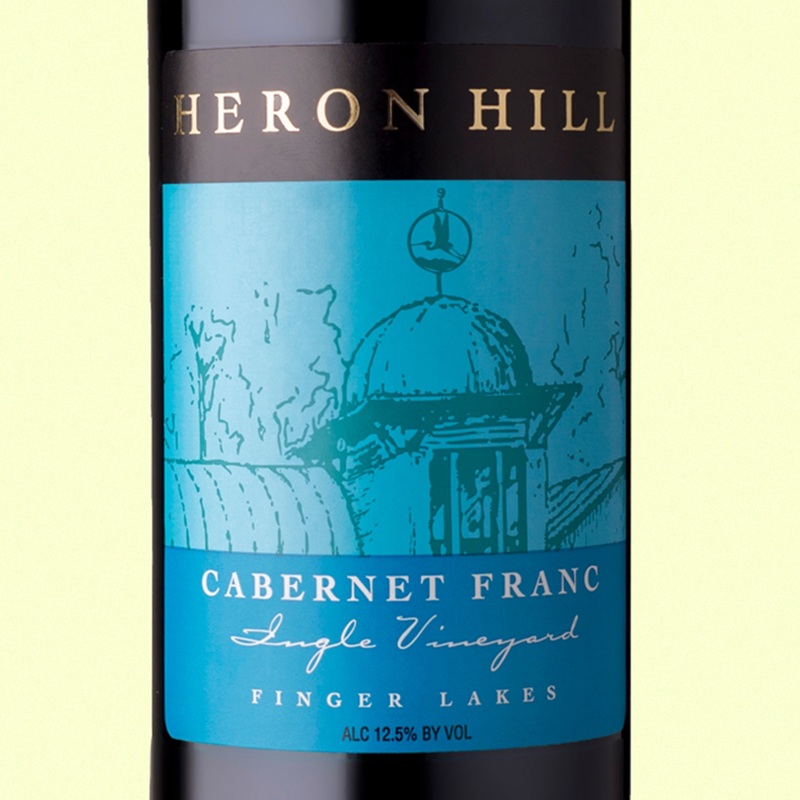 Next time you’re at the local wine shop, check out the Finger Lakes section. What has caught your eye recently? 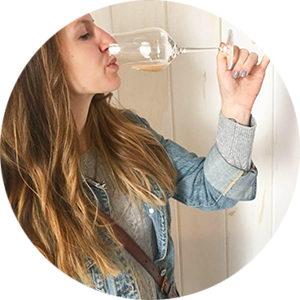 Kate Meyers Emery is the creator and author of VinifeROC.com, a blog exploring Rochester and the Finger Lakes region, one wine glass at a time. Follow her at @kemeyersemery.